*This post contains an affiliate link; a small commission is earned on items purchased with no additional cost for you. 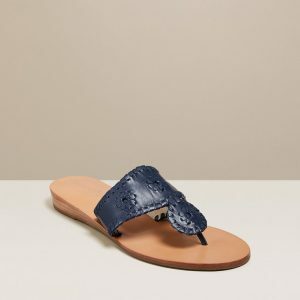 At the beginning of April, I told you all about a new opportunity I had received to become a Jack Rogers Influencer. I explained a little about what it meant and showed off some of my favorite pairs of Jacks. 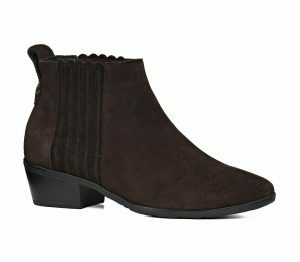 Use code SPRINGSALE to receive 20% off one pair of shoes and 25% off two or more pairs of shoes. 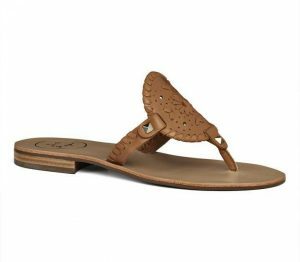 Excludes the following core styles: Jacks Flat Sandal Platinum, Jacks Flat Sandal Silver, Jacks Flat Sandal Black, Jacks Flat Sandal Gold, Jacks Flat Sandal Black with Patent, Lauren Sandal Platinum, Georgica Sandal Platinum, Georgica Jelly Black, Georgica Jelly Gold, Shelby Platinum. Also excludes all Monogram & Custom-made Sandals. Offer starts on Thursday, April 18 and is valid through 11:59pm EST on Sunday, April 21, 2019. I have been meaning to share a wishlist with you guys so what better way to do so then the day a sale starts! 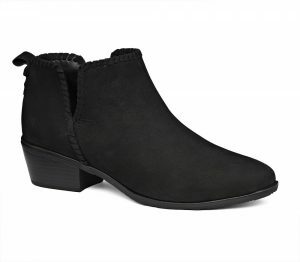 What better time to use my affiliate link than during this sale when you can save on a pair of shoes! 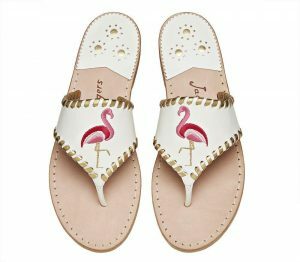 Personally, I will be buying the Flamingo sandals because duh, flamingos and the Buff Tinsley Wedge. Opening a book by Jenn Bennett immediately gives me a sense of joy. She has written some of my favorite books so it just feels like home when I get to read her words again. 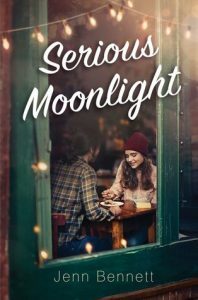 So to say I was beyond excited for Serious Moonlight is an understatement. I honestly remember Bennett announcing it and I immediately knew it was going to be another favorite. And let me tell you, she did not disappoint. 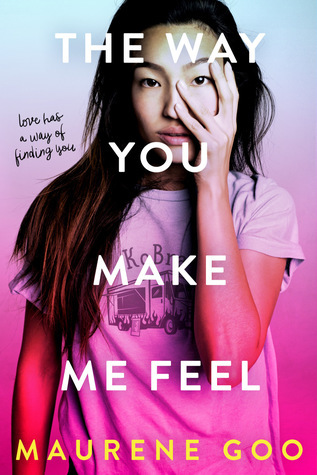 It was EVERYTHING I love about a Jenn Bennett book and maybe a little bit more. 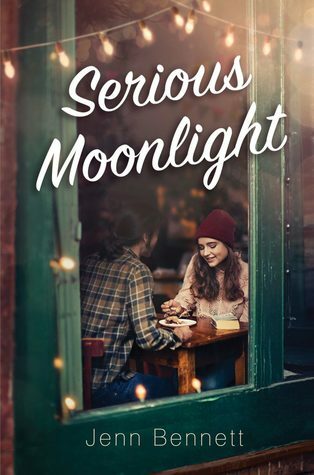 Serious Moonlight is the story of Birdie, an 18-year old that is trying to find her way. When Bridie’s mom died when she was 10 Birdie was sent to live with the overprotective grandparents she never knew. After her grandmother died 6 months ago, Birdie gains some independence and a job working the night shift at a hotel in downtown Seattle. When Birdie runs into someone she had a chance encounter with, her life ends up on a mystery filled path she never expected. In the end, there wasn’t one thing I could complain about in Serious Moonlight. It was what Jenn Bennett does best and it shined. It is one of those rare 400+ page books that you may end up finishing in a sitting because it is that good. Make sure this one if on your radar! 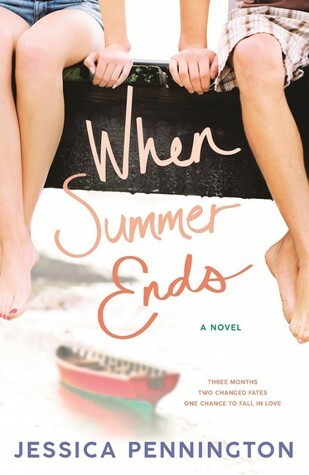 Today is my stop of the blog tour for Jessica Pennington’s sophomore novel, When Summer Ends (out in stores now!). For my stop on the tour, Jessica is posting the ABCs for her two main characters, Aiden and Olivia. Having already read the book (you can find my review HERE), I love what she picked for both of them. It is so spot on! Accessory: Doesn’t everyone load up their canoe with art supplies?? This summer, Aiden’s taking his art into the great outdoors, to be inspired by the beautiful landscapes and hidden spots of the Michigan beach town he calls home. Book: Art has always been something Aiden loves, but this summer he needs it to help him in so many ways. And as he adjusts to his new reality, he’ll start looking at art like he never has before. Clothes: Aiden has had to put away his glove since unexpectedly quitting the team on the last day of school, but he’s still rocking a baseball hat. Except this one’s for River Depot, the tourist trap his family owns along the river, where he’ll be spending his summer along with his cousin Ellis (and maybe a few new friends). Accessory: Who doesn’t love super cute journals from Rifle Paper Company? Olivia loves to tuck these in her bag so that she’s always ready to jot something down–whether it’s an idea for the essay contest that will snag her a dream internship, or a few lines about the cute new boy she’s sitting on the beach with. 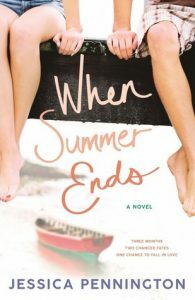 Book: Olivia spent all of her time with her ex sitting on couches and in movie theaters, but this summer, she’s finding herself immersed in the great outdoors for the first time. And a surprising amount of her time is being spent in a canoe. Her first few trips weren’t so graceful–she needs to figure out how not to look like a total klutz with Aiden Emerson sitting right behind her. Clothes: With a new job at River Depot, renting out canoes to tourists, indoors-inclined Olivia is feeling more than a little out of her element. All she wants is a pair of cute khaki shorts for her required uniform. Unfortunately, that’s not even close to what she gets. 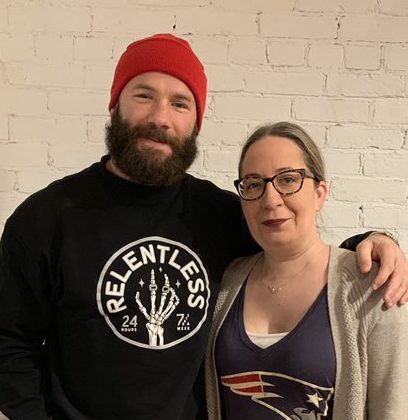 Thanks so much, Jessica for stopping by and guest posting! And thanks to Jordan at The Heart of a Book Blogger for hosting the tour! Go out and buy When Summer Ends today! Now, eight years later, Dax is in her office asking for legal advice. Despite her anger, Kailyn can't help feeling sorry for the devastated man who just became sole guardian to his thirteen-year-old sister. But when her boss gets wind of Kailyn's new celebrity client, there's even more at stake than Dax's custody issues: if she gets Dax to work at their firm, she'll be promoted to partner. I have only read a few books by Helena Hunting. I never really found my connection with her until I read The Good Luck Charm. I really enjoyed that one more than the first book I read by her. 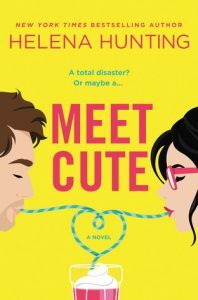 Because of my success reading The Good Luck Charm I was interested in reading Meet Cute and seeing if that one would be a hit as well. I’m happy to say that Meet Cute was not only a hit with me, but it is also my current favorite book by this author. Meet Cute is a fun rom-com(ish) book about Kailyn and Daxton. Kailyn is just starting law school when she meets Daxton, a former TV heartthrob (and crush), who is also a law school student. After their awkward meeting, they become friendly rivals. That is until something happens and Kailyn wants nothing to do with him. Now years later they meet again with Daxton needs Kailyn’s help with a family matter. Soon the banter is back and old feelings are once again sparked. Only this time it is Kailyn that may be pulling the wool over Dax’s eyes when he needs her the most. The thing about Meet Cute is once I started it, I had to finish it that day. To me, it was one of those books that it was so easy to fall into, to be invested in these characters and their lives and stories. Both Dax and Kailyn were such complex characters with great background stories that sucked me in. Plus I loved their chemistry, not to mention Dax’s sister Emme. Everything just clicked and worked even with some heavier subject matter for a romance. I do admit everything could have been easier if they just talked, but there also wouldn’t have been a book if they did so there is that. All in all, Meet Cute is what I call a fun book! Sure the subject matter was heavier but the personalities of the two main characters and Emme made it an easier pill to swallow. Plus you can’t go wrong with a book you can read in a day. Kudos to you Helena Hunting. Curious to see what you have for us next.